Hello Volunteers! 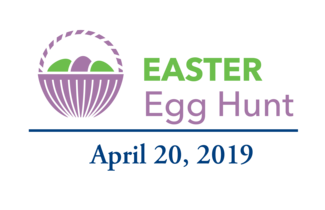 Liberty Township will be holding their annual Easter Egg Hunt on Saturday, April 20, 2019 at Liberty Park located at 6757 Yankee Road behind the Lakota YMCA. We are looking for several volunteers to join in the fun. Volunteers should arrive at 9:30 a.m. There will be four designated hunt times, one for each age group . The first hunt for 1 - 2 year olds begins at 10:00 a.m. and the other hunts will follow shortly after. Put up directional signs and rules, and help spread the eggs in the hunt area for each age group. At the end of the event, volunteers will assist Township staff with clean up. Help distribute prizes to kids with winning prize tickets. Clean up prize area and return any unclaimed prizes to Township staff. Assist with clean up after event.